Do you know Hong Kong has opened the banking market to online competition? Great! But do you know the Hong Kong Monetary Authority (HKMA) has revealed the first batch of virtual banking licenses? Curious to know about the first batch? No worries, we have incorporated all the information about newly issued reports. Well, with the advent of technology and global opportunities, the Hong Kong government is also stepping into the technological world. In fact, they have paved one path that will help people to have a hassle-free life and business. This extraordinary way is allowing institutions to offer services online rather than operating brick and mortar branches. Which Virtual Banks has granted the license in Hong Kong? As the Hong Kong Monetary Authority has granted the license to three virtual banks in the country, so it provides an opportunity to the Fintech companies in order to win the battle against the brick and mortar establishments and makes their mark in the race. So, the firms are- Standard Chartered, Bank of China (BOC) Hong Kong Holdings and ZhongAn Online P&C Insurance. And these three newly licensed virtual banks are intending to launch their services within 6 to 9 months. This will not end here only; the HKMA is making good progress in the processing of the remaining 5 virtual bank applications so that they can increase their number to 155. Do you want to know about those five institutions which are the in the pipeline? So, these are rumored ones- Tencent’s Tenpay, Alibaba affiliate Ant Financial, smartphone maker Xiaomi and Ping An Insurance that the market placed high hopes on. The three newly-licensed virtual banks, going by the name of Livi VB, SC Digital Solutions and ZhongAn Virtual Finance. So, let’s dive deep into it to get a better understanding. The first and foremost virtual office that gets a license is Livi VB. Well, it is a joint venture which is formed by Bank of China (Hong Kong) Ltd., British conglomerate Jardine Matheson Holdings Ltd and Beijing Jingdong Financial Technology Holding Co. known to be the financial technology arm of e-commerce giant JD.com. By the way, with an initial investment of approximately, HK$2.5 billion ($320 million), Livi is expected to start online banking services in the next six months. This is funded by Standard Chartered Bank, PCCW Ltd., Hong Kong Telecommunications Ltd., and Ctrip Finance, the fin-tech unit of Ctrip.com International Ltd. The reason behind the integration with other services of PCCW, HKT, and Ctrip is to provide a wide range of retail financial services and products. Zhongan Virtual Finance was set up by Sinolink Group and ZhongAn Online P&C Insurance Co. Ltd., which is backed by Alibaba Group Holding Ltd.’s. Well, the founder of Alibaba Group Holding Ltd.’s, Jack Ma and Tencent Holdings Ltd.’s Pony Ma said it is set to roll out its first batch of financial products by the end of the year. Why was it important to launch the license? 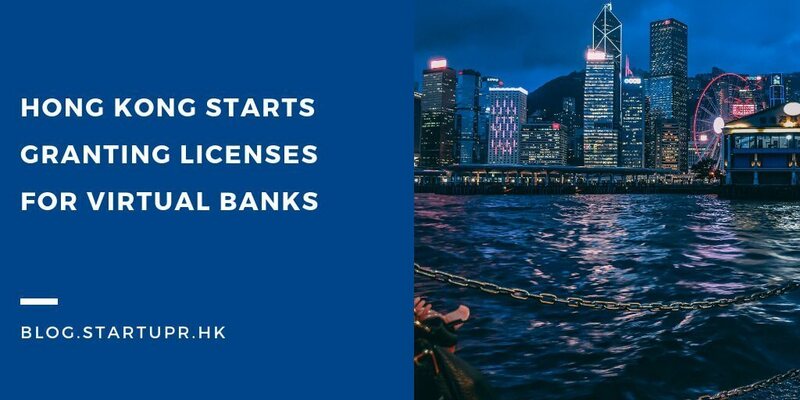 The reason behind launching a license is to create a pivotal pillar to support Hong Kong’s entry into the Smart Banking Era. In fact, the Chief Executive of the HKMA, Mr. Norman T.L. Chan, states that we are delighted to grant the three virtual banking licenses. These three-newly licensed virtual banks would be renowned with the name of Livi VB, SC Digital Solutions and ZhongAn Virtual Finance. Moreover, these newly-licensed banks are not only going to underscore the active involvement of Chinese mainland fin-tech companies in the city’s efforts to shake up its traditional banking industry; however, it would also act as a sign of Hong Kong’s determination to reinforce its position as a premier international financial center. As we are quite aware of the fact that the virtual banks will have no physical branches, so these banks will entirely rely on internet services for delivering the services of bank and customer acquisition. Therefore, it is obvious that virtual banks don’t only help in driving Fintech and innovation, but it also offers innovative and customer-centric services in order to attract customers. In short, these virtual banks constitute a significant way that will promote financial inclusion in Hong Kong. Now you understand the importance of granting virtual banks licenses, so the next thing that you would know is about their strategy. Well, it was a digital strategy incorporated by the government in order to make the Chinese mainland internet companies stand at the frontier of the digital revolution in the world. With the introduction of virtual banks in Hong Kong, it provides potential development space and broad market prospects to the business owners, stated by Zeng Gang, deputy director-general of the National Institution for Finance & Development. Other than this, it may also present a new springboard for international expansion and a starting point for the overseas development of the financial business. Let us ask you one question, do you ever feel frustrated while opening up the personal or business bank accounts in Hong Kong? Then we believe that these virtual banks would be your best choice. Therefore the BOC Hong Kong, a unit of Bank of China, will have approximately 44 percent in the Livi VB Ltd JV. On the other hand, a financial affiliate of Chinese e-commerce firm JD.com, JD Digits, will be holding nearly 36 percent and retail and property group Jardines 20 percent. So, the next StanChart will be holding 65.1 percent of SC Digital Solutions Ltd JV, and Ctrip Financial will own the rest percent, a unit of travel firm Ctrip.com, as well as the Hong Kong-based telecoms groups PCCW Ltd, and it’s unit HKT Trust and HKT Ltd.
All in All, the HKMA has represented the virtual banks as a way which will deliver the retail banking services primarily, whether it is through the internet or other electronic delivery channels.